RAL Development Services (RAL) announced two transactions that pave the way for construction of the Tech Hub project at 124 East 14th Street, approved last year through New York City’s ULURP process. RAL, developer of the project through a joint venture with Junius Real Estate Partners, secured $120 million of construction financing from Bank OZK and simultaneously entered into a long-term ground lease with NYCEDC. Meridian Capital Group’s Drew Anderman and Alan Blank arranged the financing. RAL plans to start demolition of the former PC Richard’s store immediately and with vertical construction getting underway this Spring. The upper floors of the 21-story building will feature Class A market-rate space for “forward-thinking” office users, with lower floors offering a tech-focused digital skills training center, a tech incubator, co-working spaces, event spaces, and an urban food hall. 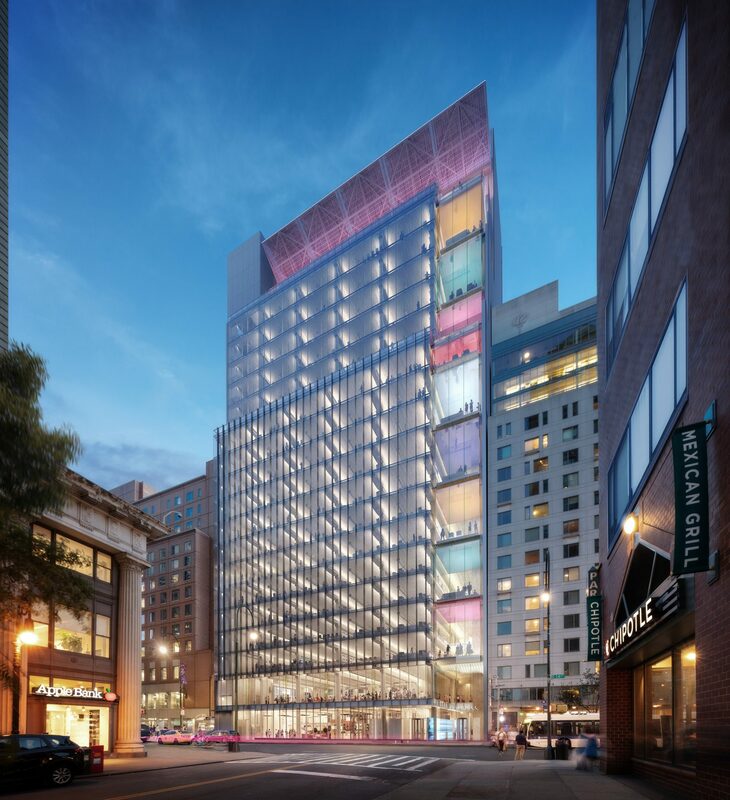 The Tech Hub, the result of an RFP issued by NYCEDC, is expected to create over 500 jobs in Union Square. “This project is incredibly exciting and we’re happy to complete the transactions needed to start building it,” said Josh Wein, Financial Director of RAL Development Services. The project secured City Council approval in 2018, the final stage of the ULURP process. Since the Tech Hub was announced in February 2017, NYCEDC and the project’s development team have worked with local elected officials and met with over 40 community organizations to find ways to make the project even more impactful for New Yorkers. The digital skills training center, operated by Civic Hall, a non-profit focused on using tech for the civic good, will span three floors. The center will feature programming from providers such as Per Scholas, FEDCAP, CUNY, and Mouse. The aim is to create a talent pipeline between New Yorkers and the city’s burgeoning tech ecosystem. The top 14 floors of the 21-story building will offer state-of-the-art, market rate office space designed to attract industry-leading corporate and creative tenants. “There is an incredible demand for high-quality office space in the epicenter of Midtown South and this building will offer something that does not exist in that market. The interconnection with the building’s amenities, programming, and access to a highly sought-after labor pool will enhance the desirability of this project,” said Mitch Konsker, Vice Chairman of JLL, who will be leading the leasing effort alongside Benjamin Bass, Dan Turkewitz and Kristen Morgan.